SOCIAL ARCHITECTURE IN A GLOBALIZED WORLD | ¡Viva la Crítica! Today we don’t only live in a globalized world ruled by capitalism, but in a world where charity becomes part of our lives. The media culture has created the idea that implies that when you buy a product with the words “organic” or “charity” you automatically feel better, you feel with a cleaner conscious. “This is the post modern caring for ecology”, says Slavoj Zizek. In First as tragedy, then as farce, Zizek explains how the individual duty of anti-consumerism is already included within the product. 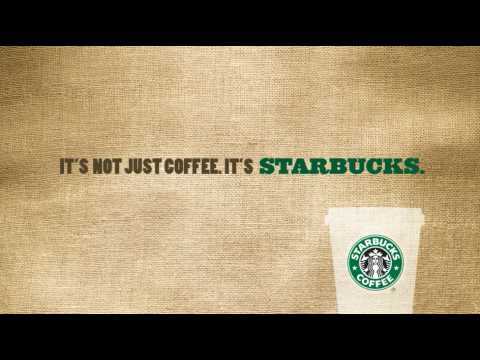 Zizek highlights Starbucks Company, which represents the ideology of capitalism to its purest form. As Starbucks logo says: “it’s not what you are buying, it’s what you are buying into”. By believing in this concept that implies that when you are buying a Starbucks coffee you are improving the world, anti-consumerism values automatically vanish. Investing for a cleaner conscious has become a global idea, which is now plagued over every major product worldwide. This good karma of consumerism has also spread to film, music and architecture. Due to this concept, sensibility and attachment to the real world seem further away. The belief that while consuming you become part of this global charitable community is actually the opposite: you are pushing yourself further away from a world of poverty and starvation. In the world of architecture, charity and social architecture has become the counterpart of the architecture we are used to. Today many architects such as Alejandro Aravena and Cameron Sinclair talk about and produce humanitarian architecture. They became the opposite of what used to be trendy, such as the work of Santiago Calatrava or Zaha Hadid. Still, despite all differences in scale and style, these architects still manage to fall in the same category of “Starchitects”. Social Architecture in the media era is nothing but a jump from one extreme to the other without any deep criticism. Architects themselves are known as characters or celebrities and not because of their work. Social Media and the idea of good karma while being a consumerist, has put architects such as Aravena at the very top of the starchitect system. Aravena, along with many other architects, are falling into a trend that will most likely change in the near future. This new concept is not evolution or the break from what we know as architecture in the 21st century, these changes are taking place within the system of capitalism, hand by hand with all the rest of the global products. I am saying this because in fact these so-called social architects are skipping all the real necessary stages in order to make social architecture actually work and endure. To create real charitable architecture, a sensible and human approach to the project is needed. You have to start building from real cooperation within the community up to the final stage. Three key base points are the necessary starting points: 1) local participation, 2) local empowering, 3) local responsibility. By achieving this you are actually receiving the okay from the community to build and this should enable you create trust and locals become eager to participate and improve their community. By allowing the people from the actual community volunteer to build, the project automatically becomes theirs. This way they don’t only learn about construction, but the chances that the building will be preserved for a longer time is greater. To be able to design the project, there has to be a technological transference between you’re own knowledge and the local knowledge. Here you take everything into account, from their local materials to their constructive forms regarding to the climate. To validate this local technics, the project has to be able to last; it has to be sustainable, economically viable and independent. This process does not take a few days, it can take years. The importance here is to have the approval and involvement of the community, while you as an architect act just as a coordinator of all involved parties. This is only a small glimpse of what social architecture has to do in order for it to have success.